Do you want to use a part of an audio file as your cell phone ring? 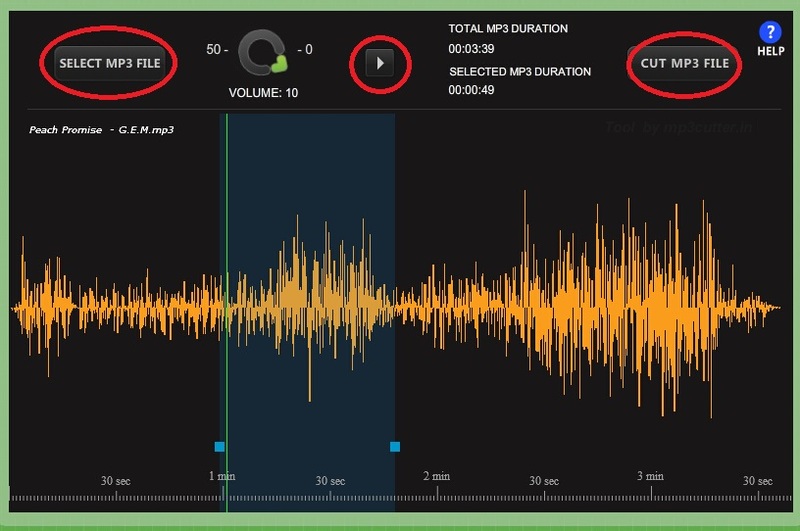 Or do you want to trim a part of an audio file to use it on some occasions? If so, you will need audio trimmers to trim audio files online or offline. 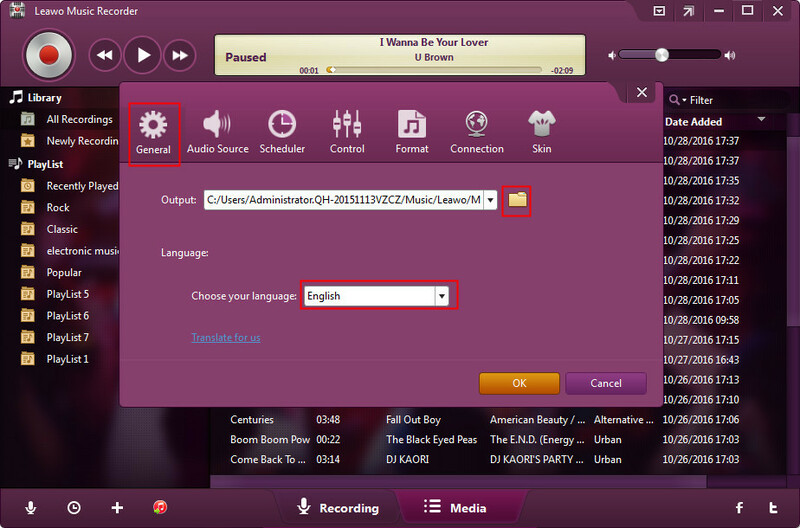 Below I introduce you how to trim audio online and offline. There are many online MP3 cutters and one of them, Audio Trimmer, is special. It is a free online MP3 or other format audio cutter, which does not need you to install software on your computer. 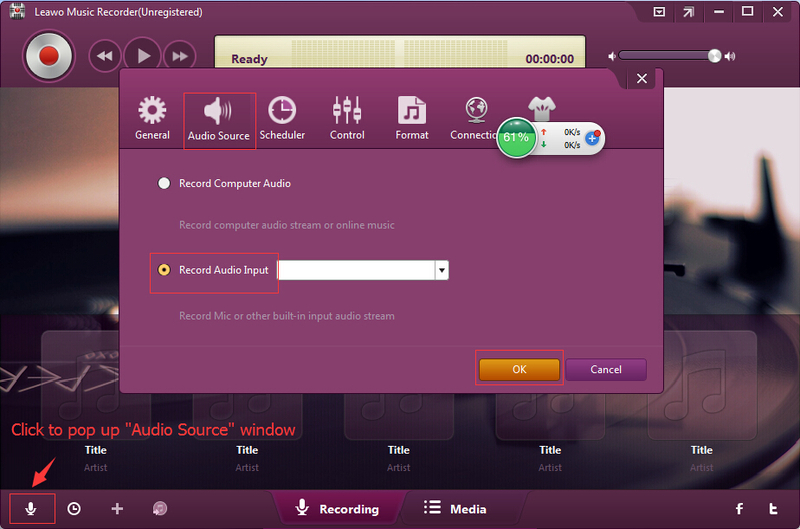 This online audio trimmer can trim the part you have located after the uploading finished into MP3 or M4R format file. There are fade-in and fade-out effects you can choose to add onto the part you want to trim. It can also play what you have opened or uploaded like a music player if your browser support it. Now I tell you the detailed steps on how to use that free website. Click "Choose file" and then choose to open the audio file on your computer that you want to trim. Then, wait the website to upload it. At the same time, you can enjoy listening to it being automatically played if your browser support it, or pause the playing by click the round green button. Click and drag the two green handles to the part which you want to trim. Or you can input the minutes values into the blanks next to "Crop from (seconds):". And also you can set, as you like, the fade-in or fade-out effect and the output format, by clicking the small triangular buttons then choosing what you want. After that please click the "Crop >>" button to trim audio, and wait for some seconds. After the steps above, a "Download >>" button will appear, and you can click it to download what you have trimmed. Or you can click "Go Back >>" to go back to the former web page, to trim the part again or other parts. If you do not like that audio trimmer online, please go on reading. I am going to tell you 3 other online audio trimmers to trim audio clips. These 3 are all simple and easy to use to trim audio files online. 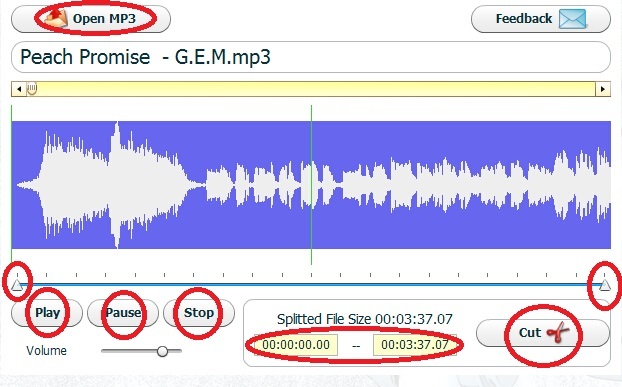 It is a website of a free audio trimmer, with which you can open the audio files on your computer and then play it, or directly drag the triangular handles to locate where you want to cut, or input the time values into the blanks, then click "Cut" to trim the audio and save the audio clip to your computer. It is a free audio file trimmer offering you an audio file playing, audio clip selecting, fade-in and fade-out effect setting, output format of MP3, iPhone ringtone, AAC, WAV, AMR selecting and audio clip trimming and saving. It is a free online audio trimmer that supports your opening an MP3 audio file on your computer, playing or pausing playing what you have opened, selecting the part you want to trim, adjusting the volume, cutting that MP3 file part. Sometimes, you would like to trim an audio file offline. Here I introduce good software able to achieve that aim. That is, Leawo Music Recorder. It is music recording software for Windows system and Mac system that offers you immediately recording voices as free audios in MP3 or WAV formats, generating audio files, editing recorded music information, also at once adding them to your iTunes. Download and install Leawo Music Recorder. Next, I tell you the detailed steps on trimming audio with it. Open the Leawo Music Recorder and click the microphone icon on the bottom left corner. And then click the "General" button and the folder icon next to the output address, to choose where you want to save the trimmed audio clip. In like manner, open the “Audio Source” tab to click the “Record Computer Audio” option. Besides, click the "Format" button, and click the tiny triangular button to choose the output format you like. Then do not forget to click "OK" button. After setting those necessary options, you can begin the trimming process. Please click the recording button as marked in the picture below, and then play the part of the audio file you want. Then, click the button again to finish trimming. What’s more, you can right-click the track icon generated automatically, and choose "Edit" to edit the information of what you have trimmed, such as the title, the artist name, the album name, the year, the genre name, and also the picture. Do not forget to click "OK". So you can distinguish many trimmed audio files in the future. 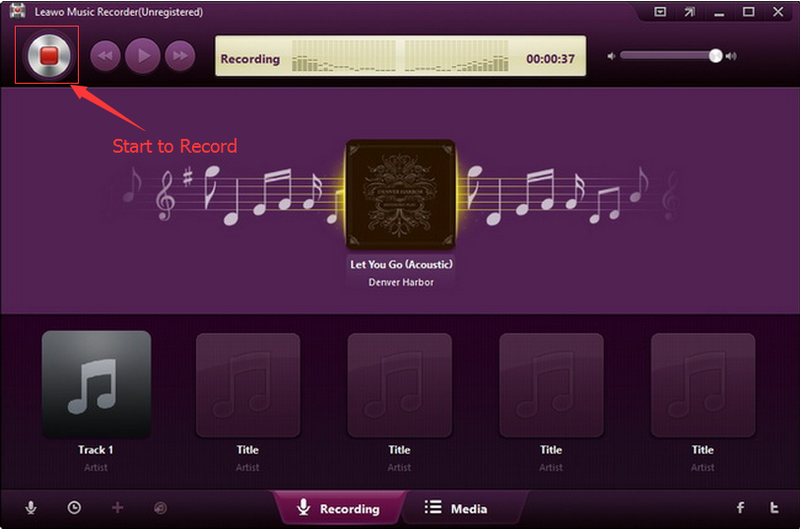 Moreover, you can play what you have trimmed by double-clicking the corresponding track icon. If you’re using a Mac computer, Leawo Music Recorder for Mac could help you easily record and trim audio files on Mac OS 10.6 and later. If you do not like Leawo Music Recorder, please consult the 3 other computer audio trimmer software below. It is free Windows software, able to play audio files and trim audio files. 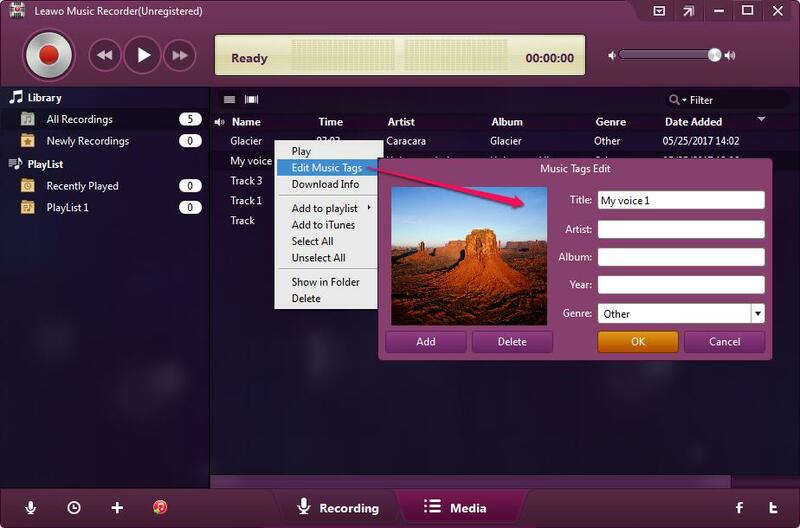 You can open an audio file with it and set the start time and end time. 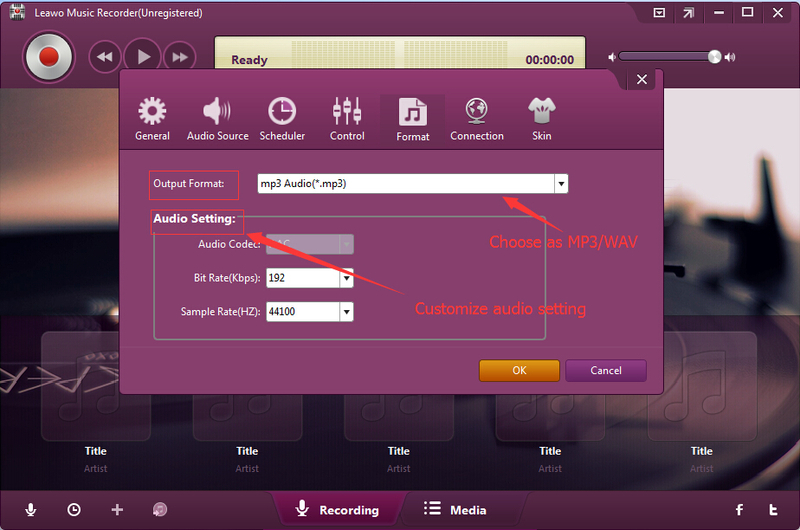 Then, the "Save Selection" button will make the selected part saved as a MP3 file. The "Play Selection" makes the selected part played once. 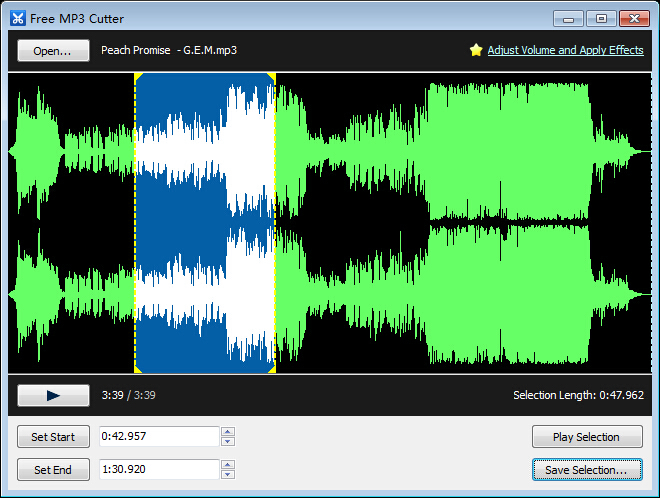 You can also pay for an advanced version of the Free MP3 Cutter to adjust volume and apply effects. 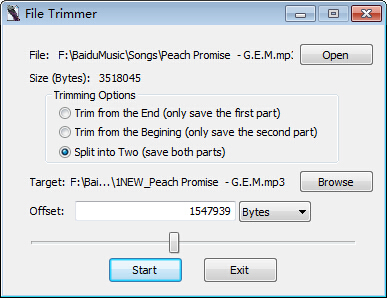 It is a free Windows-system software that provides you with opening an audio file, choosing "Trim from the End" or "Trim from the Beginning" or "Split into Two", choosing the target address, setting the offset, and then starting the trimming. It only costs a few seconds to trim a file. It is a plugin on Windows Media Player that can achieve the trimming audio files. You can open an audio file with it, and then drag the yellow handles to select a part of the audio file, and then trim it to a place on your computer. You can try it free or buy it.